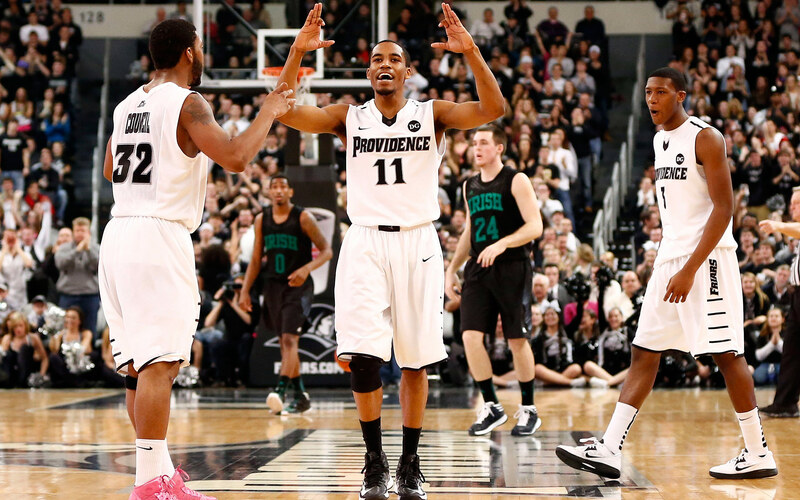 I do not remember a season when Providence was returning this much talent and experience. As PC fans, we have become accustomed to seeing players finally develop as seniors, and the move onto the next level. If we were fortunate enough to see guys develop sooner than that, they usually either did something stupid to get kicked off of the team, or leave school early for some reason. My expectations for this group are high, some (Scottie) may even describe them as lofty. I’m not as big of a Bryce Cotton fan as most. Yes, the dude can shoot. He’s proven that he can be clutch. But I never agree with the entire offense revolving around a perimeter shooter. I would love to see Bryce use his athleticism more often and attack the rim. Kris Dunn has the talent to be an All Big East First-Team performer. However, in classic PC fashion, Dunn hurt his surgically repaired shoulder in the Friars final exhibition game against RIC. From the reports I’ve read, it seems like Dunn subluxed his right shoulder. That doesn’t worry me. If there is labral damage, then I’m worried, but subluxations can be addressed with some stabilization exercises and taping. If Kadeem Batts can become a little more consistent with his mid-range jumper, he could make himself into an NBA prospect. My focus is on LaDontae Henton. He didn’t have a very good 2012-2013 season. His shooting percentage (especially from 3-point territory) was bad. He didn’t play with the same swagger and heart that he displayed as a freshman. Unlike most seasons, Henton has someone behind him coming for his starting spot (Tyler Harris). Henton needs to prove that he deserves to keep his starting spot. Brandon Austin is going to be a stud. From what I’ve heard, he has looked very good this off-season. When I took a look at some of his tape, he reminds me of a Tyreke Evans-type of player. He has the ability to handle the ball, while also demonstrating the size and quickness to get to and finish at the rim. Sadly for the Friars, Brandon Austin and fellow freshman Rodney Bullock “failed up uphold the responsibilities of student athletes.” They are both suspended indefinitely for, what sounds to me like some academic violations. Transfers Tyler Harris and Carson Desrosiers both become eligible this season. 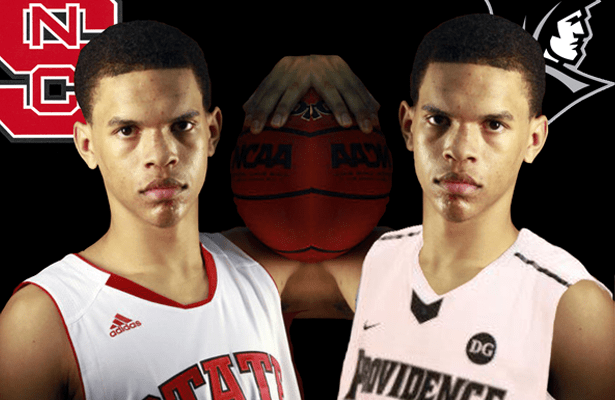 These two are going to have a profound impact on the Friars this season. I expect Desrosiers to start at center. He is a big presence that can block shots, score from inside and outside, and is known as a very good passer. Harris is an athletic forward with the ability to shoot the three and attack the rim. His skill set allows him to play every position from shooting guard to power forward. Casey Woodring is a recruited walk-on that is known as a lethal outside shooter. I don’t see many minutes for him available this year. Lomomba is a Cleveland St. transfer (originally from Canada) that will become eligible next season. He will benefit from a year of practice with the team, and will hope to help soften the blow of losing Bryce Cotton next season. As you probably could have assumed from what I wrote above, I have really high hopes for this team. I think that their combination of experience (Batts, Cotton) along with talent (Dunn, Austin, Harris) will propel Providence College to finish within the top four of the new look Big East (behind Georgetown, Marquette, and Creighton). I expect the Friars to make the NCAA Tournament. I expect the Friars to get an NCAA Tournament win for the first time since 1997. Ed Cooley finally has a team full of primarily “his guys”, so for Cooley and the boys, it’s time to make some moves in the right direction. GO FRIARS!